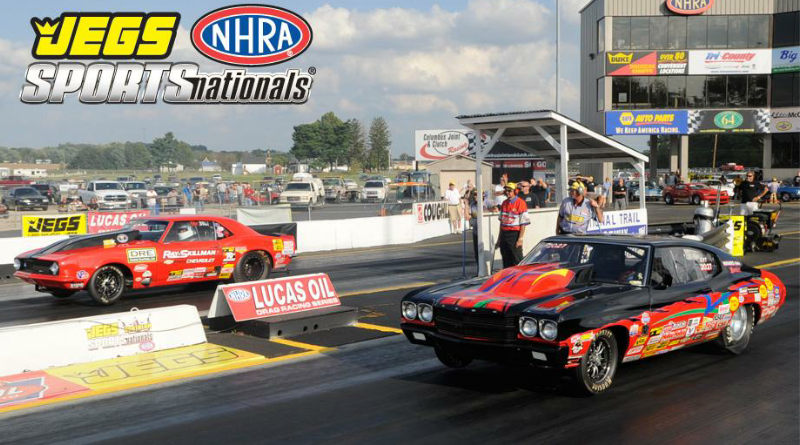 The JEGS NHRA SPORTSnationals, widely regarded as one of the biggest and most prestigious weekends in Sportsman racing, will return to National Trail Raceway in 2019, as the race will take place at the facility on Sept. 20-22. The highly-regarded race was previously held at National Trail Raceway from 2005-15 before being held at Beech Bend Raceway Park in Bowling Green, Ky., for the past three seasons. Now it returns to National Trail Raceway, located just outside Columbus, Ohio, in 2019 after Chris Payne purchased the facility from NHRA in 2017 and also recently added Jay Livingston as the track new general manager and co-owner. The annual Sportsman racing event will again feature three days of intense and exciting racing action from the top sportsman racers in the country. In 2018, the race had a purse of more than $108,000, along with special bonus races as well as national event product contingency awards. The race action includes thrilling competition in the Sportsman classes, including Super Stock, Stock, Super Gas, Super Street, Super Comp, Top Dragster, Top Sportsman and Comp Eliminator. Both the Top Sportsman and Top Dragster categories competed in a 32-car field in 2018 to optimize the competition for racers and fans alike at the marquee sportsman racing event. The 2018 race also introduced the Sportsman Motorcycle category, adding to the slate of racing action, and also featured the C-Tech Fast Four Shootout races in Comp, Racing RV’s Top Dragster, and Top Sportsman, as well as the hotly-contested K&N Super Shootouts in Super Comp, Super Gas and Super Street, and the Hemi Shootout for the popular ’68 Hemi Barracudas and ’68 Dodge Darts.